About a decade ago, Anthony Rossomando, founder of the now-defunct Boston-based band the Damn Personals, was living in London and working as a musician when he met Grammy-winning producer Mark Ronson. The pair bonded while dancing in the pit at the Connecticut-founded band MGMT’s first London concert, and during a post-concert jam session at the makeshift studio in Rossomando’s loft. Another evening, Ronson brought a friend to Rossomando’s pad. That woman was Stefani Germanotta, better known as Lady Gaga. Through his friendship with Ronson, Rossomando began writing songs that weren’t solely for himself to sing, something he had never done during his six years living and performing in Boston in the late ’90s and early 2000s. 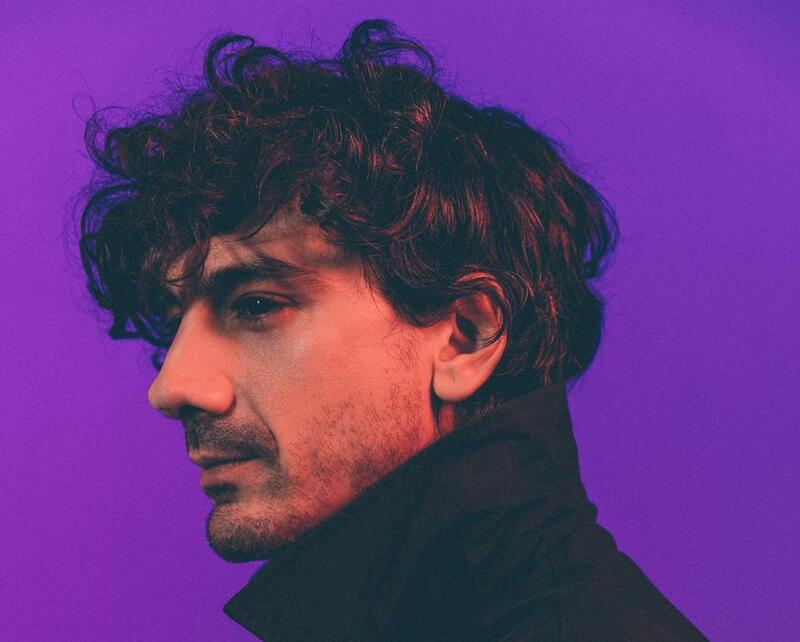 In 2010, Rossomondo was one of eight credited on “Somebody to Love Me,” a single for Ronson’s third album that featured vocals from British pop star Boy George and musician Andrew Wyatt, who currently serves as the lead vocalist for Swedish electronic group Miike Snow. And then in 2017, Gaga, Ronson, Rossomando, and Wyatt gathered to write “Shallow” — which would go on to become the breakout, award-winning hit from the Oscar-nominated film “A Star Is Born” — in a process Rossomando said was extremely intimate due to the group’s long-term friendship. 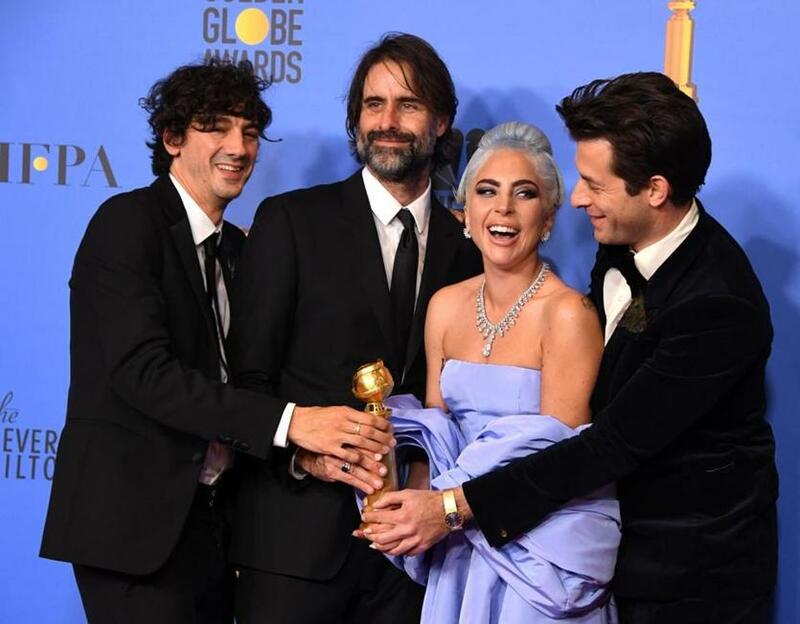 Winners for best original song in a motion picture for “Shallow” (from left) Anthony Rossomando, Andrew Wyatt, Lady Gaga, and Mark Ronson at the 76th annual Golden Globe Awards on Jan. 6. Even with the knowledge that they had been brought together to create a song that could be featured in a Hollywood motion picture, Rossomando had no expectations that the song would ever become the massive success it has turned into. When Rossomando, Ronson, and Wyatt saw “A Star Is Born” for the first time, they were blown away. “Shallow” is especially personal for Rossomando, who said that he channeled into the song some of the feelings he’d had while struggling with mental health and substance abuse issues. By his own account, 2013 and 2014 were “lost years,” during which he was forced to sell some of his music gear and was not performing any gigs. Rossomando said he’s not sure he could have gotten sober if he had not moved to Los Angeles from London, leaving behind old friends and old habits. He also doesn’t think he would have been able to co-write “Shallow” if he hadn’t gotten help. Kevin Slane can be reached at kevin.slane@globe.com.